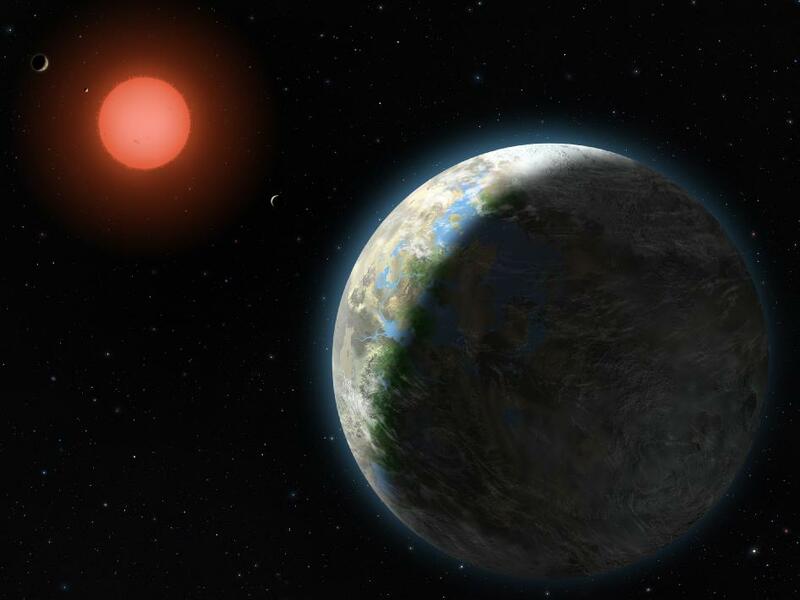 “Even a simple single-cell bacteria or the equivalent of shower mold would shake perceptions about the uniqueness of life on earth.” So writes Seth Borenstein of the Associated Press concerning GJ581g, a newly discovered “Goldilocks planet.” This extra-solar-system planet is just the right distance from its sun, which is neither too hot nor too cold, and just the right size, neither too big nor too small, to hold an atmosphere and liquid water. This is the necessary environment for life as we know it to evolve. Like the life in the grout in my shower. It is an exciting prospect. This discovery suggests that other planets contain the right stuff for primordial soup, and the implication is, once again, that the earth must relinquish its place at the center of the known universe. It is a curious notion that we share, quaintly parochial, that the earth is somehow special. The idea is an inherently religious one. Ancient peoples, beginning at least with the Sumerians, understood their world as apparent reality. The sky moves around us, not vice versa. Human beings, the apex of primate evolution, see the universe through self-crafted lenses. Lenses that we keep close to our eyes at all times. If there is life out there, and they come here, they will be the outsiders. We were here first. The Bible helps to shore up this homocentrism; the crowning achievement of divinity, according to Genesis 1, is us. Even scientists have long been reluctant to release the idea that we might just be one among many, a single, relatively common occurrence of life in a vast, indeed endless, universe. Our species evolved as a religious one, feeling that God somehow gave us opposable thumbs and flexible vocal cords for a reason. (Presumably because God has opposable thumbs and flexible vocal cords.) From the very earliest of times we have considered ourselves unique on this planet and unique in this universe. Although reason has long suggested otherwise, and although scientists would often be the last to admit that it is a religious idea, we have grasped tightly to human singularity and defied the universe to prove us wrong. Once we actually discover that life out there, what will we do? If our past track record is any indication, we’ll head to that planet with Clorox in our hands and a divine mandate in our heads. A study released by the Pew Foundation reveals something many may find surprising: the best informed citizens on religion tend to be those who do not believe. There are obviously exceptions to this trend, but for those of us who teach religion it certainly rings true. Over nearly the past two decades, I have repeatedly encountered students brimming with religious zeal, but who know very little about what they’re so excited about. The emotional charge is real enough, but few Americans know in any detail what their religion actually teaches. Some of us didn’t need the Pew report to tell us this – we have known this all along. One of the flip assumptions that must fall by the wayside here is that non-believers don’t know what they’re missing. In fact, it seems, many of them consciously reject what they are brought up believing. This also fails to surprise those who spend much time with religious studies. Religions are developed in defined culturally and chronologically bound circumstances. The longer it takes the parousia to occur, the more human knowledge mitigates against it. In a pre-scientific first century many ideas held a currency that no longer bears weight in theological commerce. Those who study it closely realize this. As political parties gear up for midterm elections and various contenders are sending out their feelers for the highest office (secular, in this country), they know something the electorate does not. Religion, poorly understood, is perhaps the greatest motivator known to the politically ambitious. People believe – and feel it strongly – but what exactly it is they believe, they are not sure. 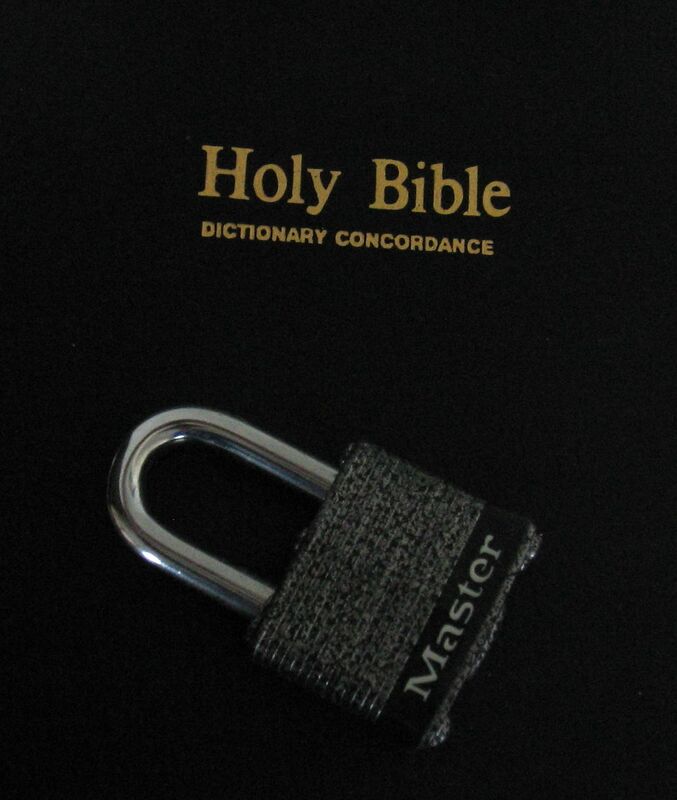 Anyone who has read the Bible soberly, on its own terms, without ecclesiastical lenses firmly in place, walks away with more questions than answers. Religious belief relies on answers, often at the expense of knowledge. So it is that the Pew Forum on Religion and Public Life has discovered something that those of us who daily live with religion had already surmised from the evidence right before our eyes. Back in August I received a book to review for Relegere, the new online journal for Studies in Religion and Reception. 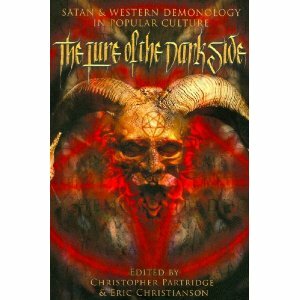 The volume I received was The Lure of the Dark Side: Satan and Western Demonology in Popular Culture, edited by Christopher Partridge and Eric Christianson. I found this assignment to be a felicitous one for many reasons: the book was very interesting, the topic is intriguing, the authors are scholars who take popular culture to be worth serious study, and it exposes the roots of many perceptions of Satan and the demonic in western society today. While I cannot present the whole review here – I would encourage interested readers to explore the appropriate issue of Relegere when it is published – I would feel remiss if I didn’t at least mention a few of the highlights here. First of all, the book is a collection of essays that cover the media of music, film, and literature. Many of my students like to point out the propensity of death metal bands for choosing ancient Near Eastern gods and themes for their band names and songs. The first two essays in this book explore black metal and its self-proclaimed Satanic intent. What is interesting here is that what many black metal bands declare as their “religion” does not, in fact, fit with mainline Satanism at all. This aspect of the book is worth reading just to see how religious ideas, both unholy and holy, easily become distorted when transformed into an artistic medium. By far my favorite essays, however, were those that analyzed horror films according to religious themes and concepts. It was refreshing to see serious scholars discussing vampires without flinching, noting how they are part of the same fabric from which religion is cut. One of the recurrent criticisms of academic writing is that it generally reaches only academic audiences. Certainly at the prices common at academic presses the average layperson would need to be exceptionally motivated to pay out the cost to read what are admittedly generally dry and technical books. Equinox has fortunately released an affordable paperback version of this volume, making the price less of an issue. The content is, for the most part, readily accessible to the general reader. The cover is a tad lurid; when I took it along to the DMV to renew my driver’s license I felt a bit self-conscious in the waiting room. Beyond that, this was a rare academic book that should find a wide readership. For me, the bibliographies and filmographies demonstrated my own deficiencies in keeping up with popular culture. I would recommend it for those with a sturdy constitution who want to know the correct way to dispatch a vampire in the twenty-first century. Religious freedom is proving to be a two-way street. The news is rife with stories of religious groups pushing the limits beyond their right to state an opinion into arguably unconstitutional behaviors. At Fort Bragg, the Army is sponsoring Rock the Fort, a Christian rock concert promoted by the Billy Graham Evangelical Association. 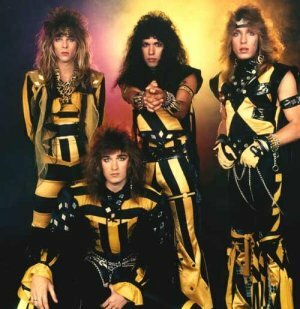 Although Christian bands are spiritually minded, they do not perform for free, raising the question whether military (government) money is being spent to promote a particular religion, a particular strain of Evangelical Christianity. In offering this concert, is the government endorsing this one religion? Statements that other religions are free to send their rock groups to Army bases rings hollow when, with rare exceptions, such groups simply do not exist. Meanwhile, Time magazine brings the curious Westboro Baptist Church of Topeka, Kansas back to the headlines now that Supreme Court has been called in to argue whether their outspoken condemnation of the military is constitutional. Fred Phelps, the founder of the church, has led divine hate campaigns across the country. It is his protests at the funerals of soldiers killed in action that has forced the question of whether his group has the right to condemn indiscriminately. The question of good taste need not even be asked. What these Evangelical groups are pointing out is that God apparently suffers from schizophrenia. Simultaneously the great general upstairs loves soldiers and wishes to convert them and also hates them and condemns them to hell. The jury, it seems, should be the taxpayers. We are the ones footing the bill for Christian concerts and paying the not-insubstantial salaries for Supreme Court justices to argue about the legality of religious hatemongering. In these days when many feel that Islam is a threat (as Christian clergy threaten to burn the Quran), it might be worth asking where the real threat to religious freedom comes from. Religious zealots often make excellent soldiers, no matter what the religion. These guys love God, but is the feeling mutual? Shutter Island and Inception share more than just Leonardo DiCaprio. Both films blend the conscious and subconscious worlds in such a way as to question what reality is. To many this issue is answered by what some philosophers label “naïve realism;” the world that our senses perceive is the world as it really exists. During a guest lecture this past week, a student repeated raised the question of how we know what we know. More than simply an attempt to get the teacher off the subject, this seemed to be a legitimate existential angst. Religious studies has a way of doing this to people. Even physicists of the twenty-first century are increasingly forced to what looks more like science fiction than apparent reality to explain our world. The quantum world is a surreal environment and as scientists close in on a theory of everything, those of us who live in the macro world wonder where reality begins and fantasy ends. Perhaps the concept of reality itself is flawed. We live with many ineluctable truths; we function biologically, live, grow, and die. Beyond that we have no way of knowing, but we believe. And during that lifespan we experience both conscious and subconscious input. The closer we look at reality the more it appears to fracture. Perhaps that is why movies such as Shutter Island and Inception have been so popular. Scorsese and Nolan have widely differing styles, but both are relegated to a world where apparent reality doesn’t seem to be enough. Only so much of life fits in a laboratory. The vast majority of it is simply experienced, whether wakefully or while asleep. Each at the time feels like real reality. Inception seconds the question raised by Shutter Island: what is reality, and, perhaps more importantly, what will we choose to do with it? What is it with car service and religion? After a long drive to and from Montclair yesterday to teach my mythology classes, I realized the poor car was due for an oil change. I try to be religious about auto service since the gods of mechanics seem to have bypassed me when handing out their gifts. I am pretty good at taking things apart, but when it comes to reconstructing them, well, they seem to work in new and interesting ways when I’m done. I don’t trust too much auto repair to myself. At the same time, Jiffy Lube is not my favorite hangout. I always take a book along, but the waiting area always has a television going and stale coffee perking, and other people chatting. It is sometimes hard to concentrate. A Friday afternoon seemed like a good time to go since weekend warriors would not be spending their first free hours at the Lube. I had a choice of seats. I sat behind a Plexiglass divider from the television, figuring it might muffle the sound a bit, and began trying to focus on my work. The TV was on ABC, an early news show was running. I hadn’t been reading ten minutes when I heard the Bible mentioned on the news. I scrunched forward to peer around the windshield wipers suspended from the rack on the other side of the Plexiglass. An official looking authority named Carl Druze of the National Center for Atmospheric Research was explaining to an unseen journalist how he’d discovered the miracle of the Exodus! The government scientist explained, with a fancy graphic illustration, how if the wind blew all night the Red Sea would part into a marshy bit of mostly dry land for up to four hours, giving the Israelites an opportunity to walk right out of Egypt. The woman tending the register was so curious about my bent-over posture that she came around to see what the story was about. When she saw, she gave me a doubtful smile. The story concluded by mentioning that Carl Druze is a devout Christian, but that had nothing to do with his research. Scientists have long tried to explain mythological episodes. Over the years I have read many implausible conjectures of “perfect storm” conditions that could lead to a dried sea bed, a series of horrific plagues, a world-wide flood, or even the earth itself holding still on its axis for 24 hours. While clever, these scientific fictions miss the point. The Bible is presenting miracles as unaccountable acts of God. No formulas or figures can explain them. I was bemused since four hours would hardly be time enough for the (at least) three million Israelites cited by Exodus to have made it across marshy swampland with their considerable material goods. 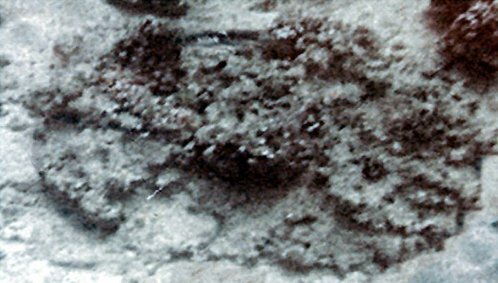 The fact remains that no archaeological evidence for the exodus exists, claims of chariot-wheel shaped coral in the Red Sea notwithstanding. If the Bible had been intending to be literal here, it would have been the end of Egypt since the army was completely wiped out. And this was on the eve of the invasion of the Sea Peoples. There is a reason I let automotive experts work on my car. It is always interesting when scientists tinker with the Bible, but I’m glad that such tinkering doesn’t involve a half-ton of metal that is capable of racing down the highway at speeds the fleeing Israelites would have been overjoyed to have achieved on the road out of Egypt. One of the largest culture shocks that attended moving to New Jersey was the fact that you don’t pump your own gas here. By the time I was driving regularly, pumping your own gas was a fact of life. I’ve lived in at least half a dozen states and in all of them you pumped your own fuel. Until New Jersey. Now when I visit other states I sometimes sit dumbly waiting for the attendant to come to the window and ask what I want. You get used to being waited on. Yesterday morning I stopped for gas – I do a lot of driving between my various classes, so this is a sleepy ritual. The attendant came and began the usual refueling when another customer stepped up to the driver’s side window. “Are you Jewish?” he asked. Actually, it is a question I am asked not infrequently. The stranger then wished me happy Sukkot, which was nice; I’ve always enjoyed the Sukkot festivities I’ve attended. He then proceeded to tell me that the country was in a mess, but as long as we held up the name of Jesus everything would be alright in the end. “We just need to hold up the name of Jesus,” he repeated. I drove away full of gas. I wondered how we’d gotten from Sukkot to Jesus so quickly – the transition usually takes longer than that. Back at Nashotah House, a local Jewish doctor frequently invited me to bring my Hebrew Bible students to Sukkot at his house. A kind of thanksgiving celebrated outdoors, we’d sit in his stylishly decorated booth, eat snacks, and shake the luvav. By the time we returned to seminary for evening prayer, it was back to Jesus. I’ve never been proselytized at the gas pump before. I may have to rethink what the largest culture shocks have been, moving to New Jersey.